Hotel ibis Kassel Melsungen. Book your hotel in Kassel now! The ibis Kassel Melsungen Hotel is conveniently situated in the middle of Germany. Stop over with us and fill up on energy. The hotel offers 99 renovated rooms and 60 parking spaces out front. You can surf the net for free at the Internet point in the lob by. We have a playground and offer bike hire and a bike storage room. You can get walking and cycling maps from reception, which is open 24/7. Start your day with a tasty breakfast between 4am and 12 noon. 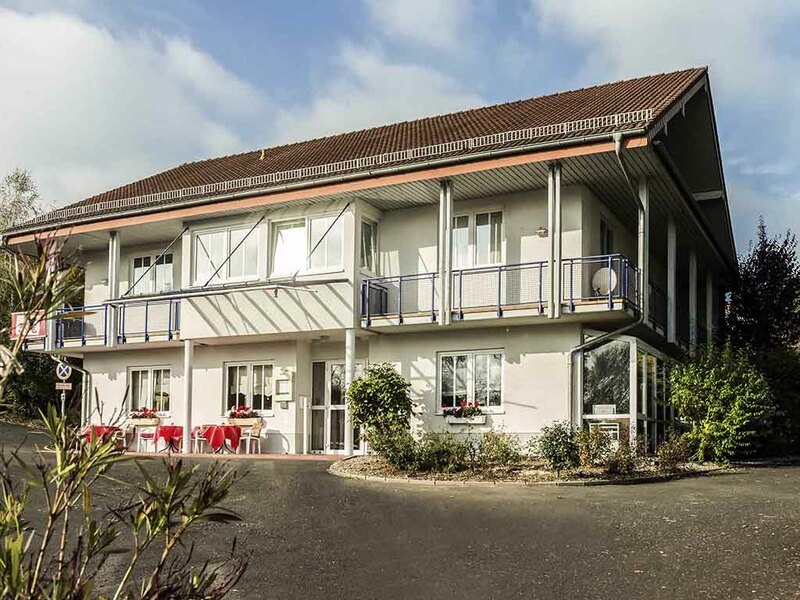 Suitable for overnight stay when traveling south as the hotel is just off the motorway exit. Ok sleep quality, but the hotel is Ibis-old-style. The breakfast buffet was poor - but there were only a few guests staying this Sunday / Monday. Very good hotel, good service og nice rooms. Next too a littel town whit many nice resturant. Esay too drive too from the hignway. Very good breakfeast. Reception 24 hour soo you can come them you like. Arriving late, I had a quick snack and off to bed which was comfortable and soon sent me to sleep Breakfast in the morning was super with great selection and very relaxed but helpful service - I even got to practice some German! just what you need to have a good sleep after driving from Munich , half way on the way to hamburg. Nice relaxing morning with a very good breakfast. Near to the highway and easily to find. Desk Service 24 hours. Convenient spot for car travellers. Good breakfast. Friendly hotel's staff ready to provide professional service. As minuses: bad ventilation as a result - mushrooms on the windows, the sunk in a shower is broken - water stays while showering. Nice small Hotel. From the Motorway easy to find,I stayed for just one Night. The room was clean . The door to the floor was thin . so if somebody went by talking , you could hear their voice into their room. Thank you for your kind review a good motivation for my team and me! Change of room without hassle. The receptionist was friendly and helped us find the way to town. Very beautiful little town. The hotel seemed to be a bit run down but obviously renovation was under way. Breakfast OK. The hotel is not in town, but rather a bit outside - maybe that's why the rates are favourable. Why choose this hotel? Room rate. Town is beautiful. Just south of Kassel, a little to the side of transit routes, one finds this very affordable IBIS hotel. Quiet, comfortable, with friendly staff and a great German breakfast. The surroundings are impressive, and so is the beautiful town centre. A place worth returning to. I was trying to reserve my favourite hotel in Kassel, at a suitable distance from my starting point. Not available. This hotel was listed in the vicinity, 35 km away or so. Easy to find, less than 4 km from the autobahn. Not much of night life around the hotel, but all you could expect from an Ibis hotel. The morning after I found that Melsungen was nice little city well worth visiting. The lady on reception had the welcoming of an Army sergeant. I wanted food in the evening which was shown on this wonderful corporate menu in my room but when I went downstairs the same lady who was miserable when I arrived just couldn't be bothered and wanted me to order from a pizza delivery menu. TERRIBLE PLACE. Cold, damp, smelly. Very good small hotel near Kassel. The personnel was very friendly and professional. The breakfast was great.They had the pizza service in the evening.